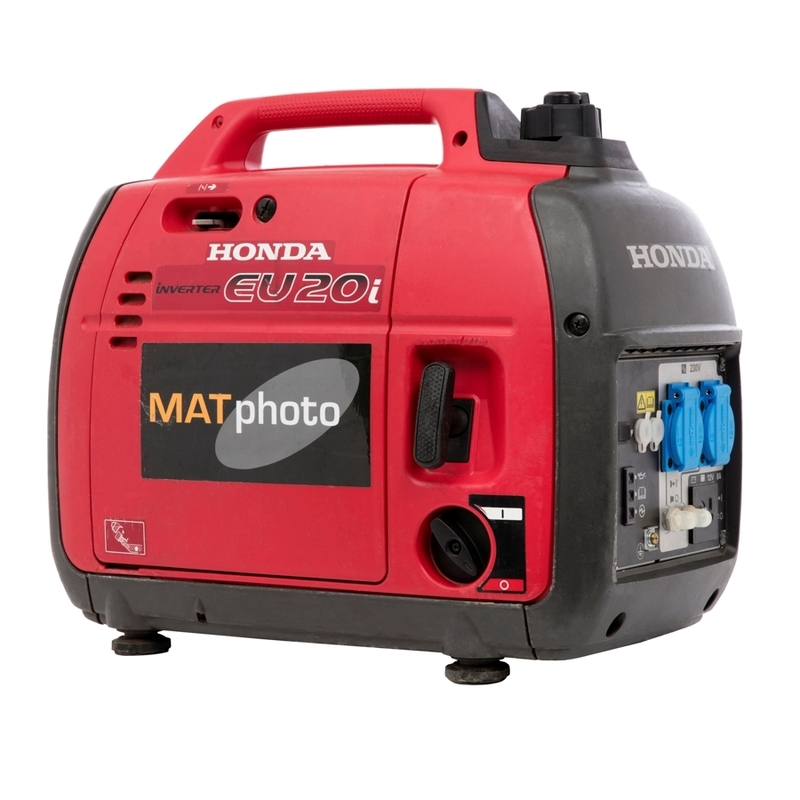 Gasoline-operated silent power generator.Engine Honda GX100 Displacement 98.5cc AC Output 120V 2000W max. (16.7A) 1600W rated (13.3A) Receptacles 20A 125V Duplex DC Output 12V, 96W (8A) Starting System Recoil Fuel Tank Capacity 1.1 gal Run Time per Tankful 4hrs. @ rated load, 9.6 hrs. @ 1/4 load Dimensions (L x W x H) 20.1" x 11.4" x 16.7" Noise Level 59 dB @ rated load 53dB @ 1/4 load Dry Weight 46.3 lbs.